Women's careers have been a topic of research and discussion in many disciplines including sociology, business, industrial, organisational and vocational psychology, and career guidance. Despite the introduction of equal employment legislation in many countries, womenÃ¢ÂÂs patterns of career development continue to reflect structural labour market disadvantage. Ã¢ÂÂ¢ an understanding of both the challenges and responses to women as they construct their careers. 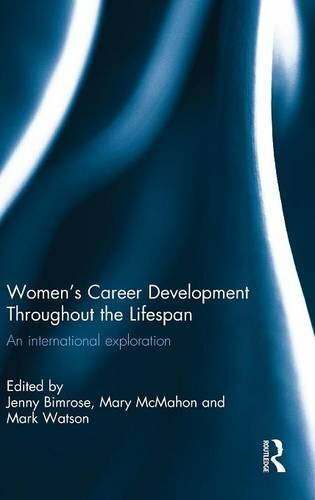 Offering a comprehensive understanding of womenÃ¢ÂÂs career development throughout the lifespan, this book will be of key interest to academics and researchers from the fields of education, psychology, management, geography, labour market economics and sociology, as well as career practitioners, managers, trainers, researchers and policy developers. About: Women's careers have been a topic of research and discussion in many disciplines including sociology, business, industrial, organisational and vocational psychology, and career guidance.